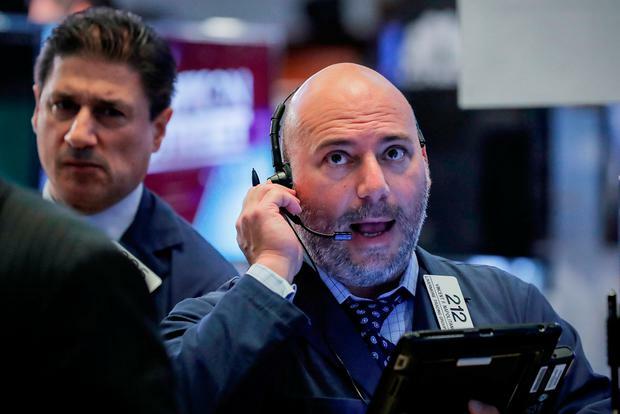 US stocks and treasuries rose in thin trading as traders held onto hopes for an easing of the trade war and await clues from a meeting of central bankers later this week. The S&P 500 Index advanced for a third day, led by companies in the consumer-discretionary sector, in trading nearly 20pc below average. A gauge of semiconductor shares fell to the lowest in seven weeks, helping to hold down the Nasdaq 100 Index. The dollar fell against peers after US President Donald Trump said he expected Jerome Powell to be a cheap-money Fed Chairman. The 10-year Treasury yield declined after bond investor Jeffrey Gundlach warned of a short squeeze. The onshore yuan climbed amid signs China is propping up the currency. “Investors sentiment is on the bullish side, with investors figuring new all-time highs are just around the corner, especially if trade talks get going with China,” Paul Nolte, a portfolio manager at Kingsview Asset Management, wrote in a note to clients. Markets appear to be striking a more optimistic tone after talks between the world’s biggest economies on trade made their way back onto the agenda. Elsewhere, the lira slipped for a second day. Turkish markets are closed for most of this week, which may mean low trading volumes and sharper currency swings than usual. Emerging-market stocks and currencies rose. Industrial metals helped push an index of commodity prices higher. In Dublin, the Iseq index of Irish shares closed 0.4pc higher at 6726.37.